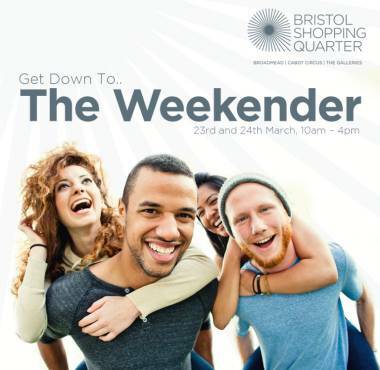 On Saturday 23rd & Sunday 24th March, Bristol Shopping Quarter hosted a promotion focussed at young people. Over the weekend, from 10am – 4pm, young people were able to register for a lanyard which entitled them to freebies, special discounts and the opportunity to enter competitions to win great prizes such as gig tickets, a Playstation and designer sunglasses. Various events took place on the day including a ‘Game Station’ on the ground floor of The Galleries and a VW camper van in Broadmead in which people could have their photos taken with their friends. Bristol Shopping Quarter partnered with Heart FM and The Station* for this great event. The event was promoted on air on Heart FM for 2 weeks before the event. After last year’s successful Easter sheep hunt, Bristol Shopping Quarter once again worked with The John Wesley Chapel & Methodist Churches to create an Easter Donkey Hunt. 30 cut-out donkeys, which had each been decorated by a different local primary school, were displayed in shop windows over the Easter period (23rd March – 6th April) and children were invited to hunt for the donkeys and to take part in craft workshops in The John Wesley Chapel.